355 mL - Ideal for dry, damaged or colour-treated hair. Dry hair is thirsty hair! 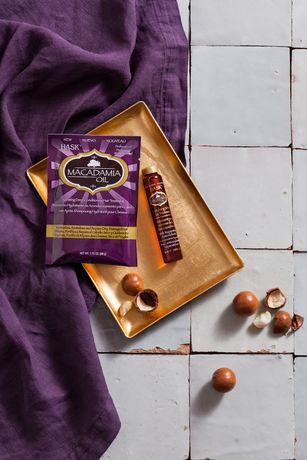 Quench its thirst with Hask® Macadamia Oil Moisturizing Shampoo. Infused with antioxidant-rich Macadamia Oil to replenish and hydrate, this shampoo gently cleanses while it repairs and adds moisture, leaving even the most parched hair whisper-soft and incredibly shiny. Ideal for dry, damaged or colour-treated hair, this shampoo's delicious scent will also delight your senses. Directions: Apply generously to wet hair. Massage into a luscious lather, rinse thoroughly, and repeat to your heart's content. 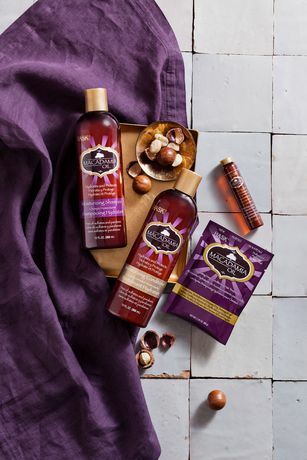 For the softest hair imaginable, follow with Hask Macadamia Oil Moisturizing Conditioner, naturally!